Create this citrusy British drink to quench your thirst on a hot summer day. With summer heating up, now is the time for a refreshing summer drink. Whether you want to make a family friendly drink or an adult only cocktail, a good base for a summer beverage is a flavored simple syrup. Mine starts with the traditional concentrated sweetness that you get from any simple syrup and adds a nice kick of both citrus and ginger. It's a great base for a pitcher of lemonade or can be used in a number of cocktails. A facebook friend asked me what my favorite "Adult" beverage was for summer and my answer was a Pimm's Cup. This drink uses Pimm's No. 1, a gin-based British liqueur, and combines it with gin, lemonade or ginger ale, and fresh fruit. I've used my simple syrup as the base and included lemon lime and club soda in my version. It's the perfect drink to enjoy at the start of an evening along with light appetizers. Wayne shows you how to create the perfect "Kiss the Cup" party as you cheer on the Blackhawks' "Quest for the Cup." Using a wide potato peeler, make cut long strips of cucumber and set aside. Cut the orange in half lengthwise and then cut slices crosswise. Thinly slice lemons. Slice peach into thin wedges. Fill the pitcher with 2 cups of ice. Add a few slices of cucumber, half of the oranges slices, half of the lemon slices, half of the peach slices, a few cherries and a few mint leaves. Add 2 more cups of ice. Add simple syrup, Pimm's and gin. Slowly pour lemon lime soda and club soda into the pitcher. Stir gently to combine all the elements. 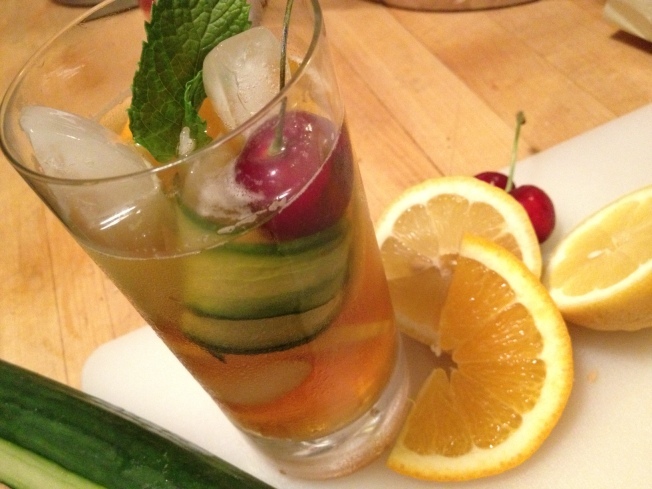 Fill individual glasses with ice and garnish with remaining cucumbers slices, orange, lemon, peach and cherries. Pour cocktail into individual glasses and add a few mint leaves. 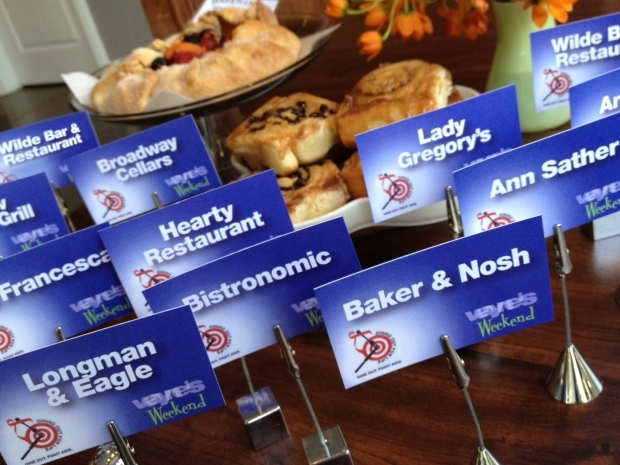 Wayne shows you how you can help support a good cause just by eating. Put water and sugar in a medium saucepan. Add ginger. Zest the entire lemon ad add to pot. Slice the lemon in half and juice both halves into the pot. Bring to a boil and stir until sugar dissolves. Remove from heat and cover for 20 minutes. Strain mixture through a fine mesh strainer into a sealable container. Cover and refrigerate until ready to use. Juice three of the lemons and remove the seeds. Thinly slice the remaining lemon, removing seeds as well. Place Ice in the pitcher. Add simple syrup, lemon juice, sliced lemons and water. Stir to combine and serve.